Content Marketing & Advertising – What’s The Difference? Chances are someone has asked you these questions recently. For some of us these are queries we have to respond to all the time. Yet those who ask are not only offering a genuine question, in a roundabout way they’re seeking clarification as to what it is that we actually do? Now that’s all very well, but it ignores the heritage, especially on this side of the Atlantic, of decades of printed content marketing. BA’s High Life for example is over 40 years old, so we are not referring to something new or exclusively digital. Unless of course printed magazines are branded content, or examples of custom publishing rather than content marketing. Let’s not got there on that one! Here then are a few thoughts on the subject of the differences between content marketing and advertising in the hope they will not only be useful but help spark the odd debate or two. 1 Content marketing is highly strategic – The reason why brands and start-ups are increasingly embracing content marketing is largely a strategic one. They are dealing with issues of sales generation and brand awareness and need tools in their arsenal to help then resolve this. Content marketing, a bit like PR, is highly strategic in that it is a way that brands take their core messages and present them to their customers usually with long-term goals in mind. Content marketing plays a role in helping to construct a brand message and then to continually embellish and iterate it. Advertising, especially native advertising, is invariably used in a tactical way to achieve a specific goal. There are ad campaigns that run for years and may help a business to reposition themselves, but these are exception rather than the rule. 2. Content marketing isn’t disruptive – For me this is a key difference. Native advertising is at its core disruptive. A person is reading or watching content and then they are presented with more content and enticed to consume it. This is wholly different from content marketing. Most readers find content marketing content either by search – and the content they discover answers the question they are asking – or more organically through social channels or by going straight to a website or video. They are on a journey to learn more about a topic or brand they invariably don’t just stumble upon it. There’s an irony here though that printed content magazines can be disruptive. Think of in-flight magazines for example. However, in the online world content marketing isn’t usually disruptive. 3. Content marketing has scale – For me this is another crucial one. 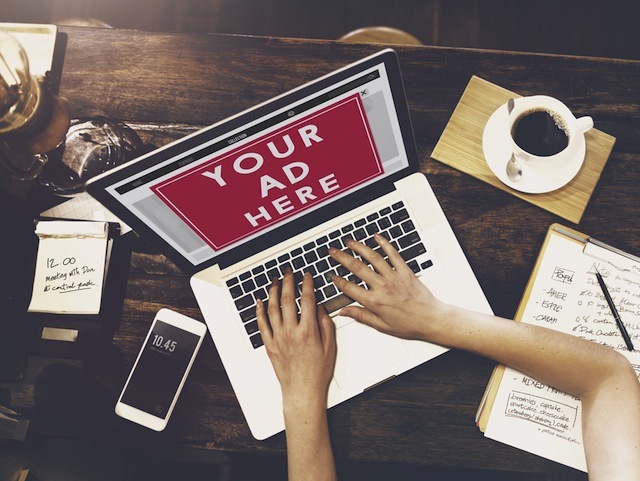 Native advertising in particular is often one ad or a series of ads placed on one platform. The content is invariably punchy, to the point and driven by a call to action. Content marketing is a more ambitious, richer type of content. Brands will often create longform content – such as white papers, mega posts etc. The content will also be housed on a number of platforms, not just a company homepage but across social channels. Content marketing also harnesses a lot of different types of content, including podcasts infographics and long form video which aren’t traditionally part of an ad person’s toolkit. 4. Content marketing is subtle – Most advertising, including native advertising, has to communicate a very direct message in a quick, easy and, as we have seen, disruptive way. There are of course exceptions to this. Some of the work being done by The Guardian and The New York Times especially in video and Virtual Reality blurs the lines between advertising and content marketing. However, with content marketing there is much more of an opportunity for brands to take a more nuanced approach, to show their human site to their audience. So, for example, brands use content for thought leadership, which may only barely touch on the activity or the nature of the brand. They may even create content that references other non-competing companies. Or they might just create content that whispers about their goods or services, rather than shouts about them.